For and by the employees of the Dining Car Dept. 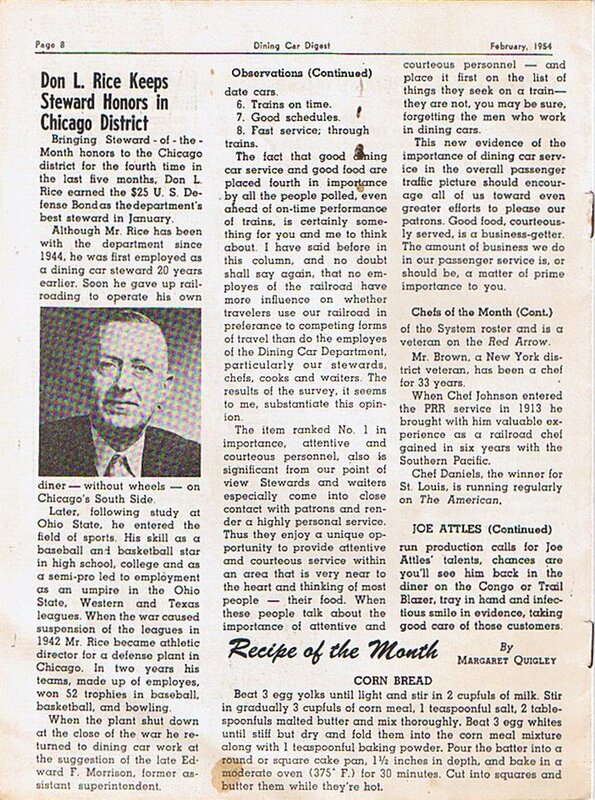 Description The February 1954 edition of the Pennsylvania (PRR) Railroad Dining Car Digest - A monthly publication of, for and by the employees of the Dining Car Department, The Pennsylvania Railroad. 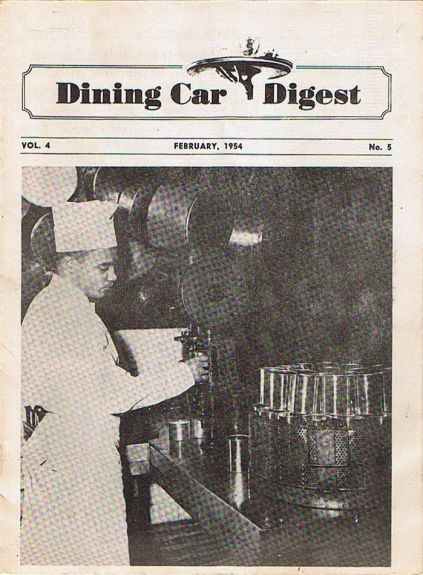 Cover photo features an employee putting beef stew - made at the Sunnyside Yards in New York into tin cans.